Jason Fenske of Engineering Explained used some of the math equations in Physics for Gearheads to explain the physics behind Continuously Variable Transmissions (CVT)s. Watch the whole video for a great explanation of the physics behind a CVT and look for Physics for Gearheads featured at minute mark 7:38 in the video. Rob Siegel, The Hack Mechanic spoke with Petrolicious about being a "normal" car person. Benjamin Shahrabani of vintage car lifestyle blog Petrolicious recently interviewed author Rob Siegel about his fleet of vintage BMWs. They talk about how Rob balances marriage, family and his love for cars. Rob also gives his opinion on the current state of the car collecting hobby and what it means to be a passionate automotive enthusiast.
" I have spent many, many hours looking at wiring diagrams, and trying to diagnose electrical issues. The only vehicle I was successful with was — ironically — a 1970 Land Rover Series IIa, which was only simple to diagnose because there was like one wire in it. All of those manuals, diagrams and user guides I pored over featured the style of writing you’d normally need to read the installation instructions on a garbage disposal to experience. Dry. Dull. Designed to induce sleep. A book like this walks a fine line. You can easily dumb it down to the point where you’re insulting your reader with cartoon pictures of electrons, or just as easily overestimate the reader’s intelligence and attention span and write it like your core audience once built the Space Shuttle. 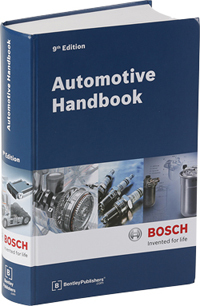 This one is billed as a guide to European automotive electrical systems, and it’s true that it does provide a lot of specific data on the idiosyncrasies of Volkswagen, Audi, BMW and any other Euro manufacturer that favors Bosch electrics. But that’s not to say that if you own an Austin-Healey that you won’t get a lot of it. It’s also not just for people who have cars of a certain vintage. A ton of the information collected in the book covers how to diagnose and understand things like all the sensors that make a modern car go and stop. 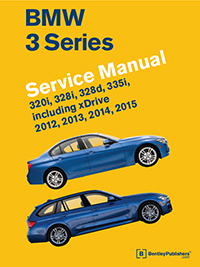 The Hack Mechanic Guide to European Automotive Electrical Systems splits the difference. It’s an actual “book” with “chapters” featuring “engaging writing” that doesn’t make you want to stick your head in an oven. Each chapter covers a specific topic, but it’s broken up with tons of illustrations, and sidebars designed to either offer deeper information, to provide a warning, or to deliver an analogy that can help you sort through your problem. It’s complex enough to cover modern electrical issues, but also never assumes that you’ve done any electrical work — or more accurately any electrical work correctly. 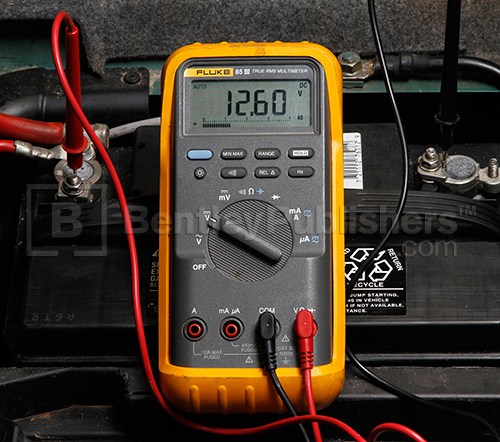 Early chapters cover the basics of safety and automotive electricity, and most appreciated, how a multimeter actually works." Mark Dwyer of Speedreaders.info recently reviewed; The V12 Engine: The Technology, Evolution and Impact of V12-Engined Cars by Karl Ludvigsen. "To many motorheads the word “twelve” has a near-magical ring to it that any other number of cylinders in an internal combustion engine just doesn’t come close to matching for impression or status. Anything less is too few, while the only other practical design with more cylinders, sixteen, certainly does seem to be too many. " 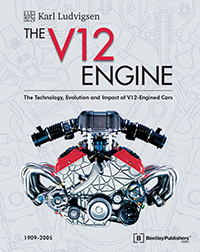 "Taking on the challenge of chronicling every V12 car engine ever made, as the author tells us is his intent, is not only enormous in scope, it could easily prove to be an overwhelming task for any but the most experienced and determined researcher and writer." Special discount offer good for the Rennlist community through May 6, 2016! Choose any Bentley Publishers® Porsche repair manual(s) from the list below. In the shopping cart, enter the special Rennlist promo code and the discount price will be applied. A big thanks goes out to Ben Shahrabani and Rennlist for the great article on Bentley Publishers repair manuals. Click on any of the book covers below to read a full product description, including models and engines covered. Vintage car lifestyle blog Petrolicious recently reviewed; The V12 Engine: The Technology, Evolution and Impact of V12-Engined Cars by Karl Ludvigsen. "Filled with the author’s crisp and detailed prose as well as copious cutaway drawings, engineering cross-sections, and photographs in both black and white as well as color,.."
"...the author's approach to writing about these engines is more “biography" than engineering study, which makes for a more relaxed read for those less technically-inclined." 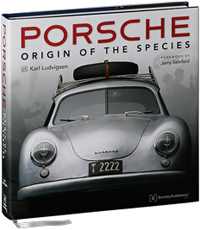 Porsche - Origin of the Species was awarded a 2nd place in the automotive book design category. 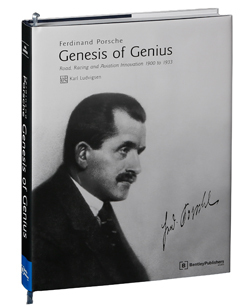 The 2nd place award for automotive book design was awarded to the German edition of Porsche - Origin of the Species by the ADAC, the largest automobile club in Europe. Winners were chosen by a panel of judges consisting of automotive writers and high ranking executives from leading European auto manufacturers. Delius Klasing on this exciting award, one of several that Porsche - Origin of the Species has won to date. Special discount offer good for the Petrolicious community through April 15, 2016! Choose any Bentley Publishers® repair manual(s) from the list below. In the shopping cart, enter the special Petrolicious promo code and the discount price will be applied. A big thanks goes out to Ben Shahrabani and Petrolicious for the great article on Bentley Publishers repair manuals. 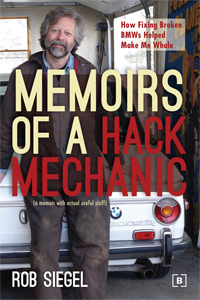 Rob Siegel, author of Memoirs of a Hack Mechanic, now shares his Hack Mechanic wisdom and experience on the intimidating subject of dealing with electrical issues in your European car. 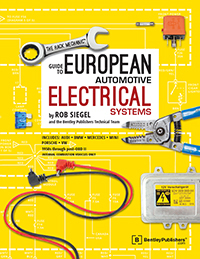 The Hack Mechanic™ Guide to European Automotive Electrical Systems, by Rob Siegel together with the Bentley Publishers Technical Team, shows you how to think about electricity in your car and then take on real-world electrical problems. Through a practical and informal approach featuring hundreds of full-color illustrations, the Hack Mechanic Guide to European Automotive Electrical Systems takes the fear-factor out of projects like making wire repairs, measuring voltage drops, or figuring out if you have a bad fuel pump relay. 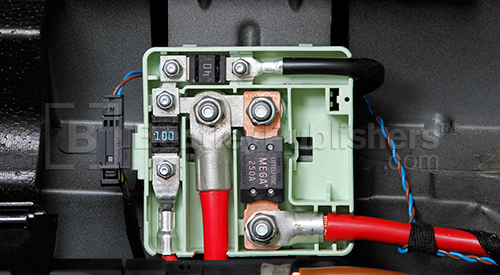 Essential tools such as multimeters (DVOM), oscillosopes, and scan tools are discussed, with special attention given to the automotive multimeter needed to troubleshoot many modern sensors. You'll get step-by-step troubleshooting procedures ranging from safely jump starting a battery to diagnosing parasitic current drain and vehicle energy diagnosis. And you'll find detailed testing procedures for most problematic electrical components on your European car such as oxygen sensors, crankshaft and camshaft sensors, wheel speed sensors, fuel pumps, solenoids, and actuators. Reading wiring diagrams and decoding the German DIN standard are also covered. Whether you are a DIY mechanic or a professional technician, The Hack Mechanic™ Guide to European Automotive Electrical Systems will increase your confidence in tackling automotive electrical problem-solving. 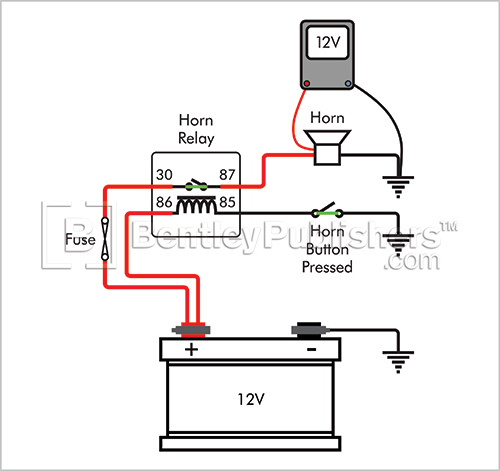 For more information on The Hack Mechanic™ Guide to European Automotive Electrical Systems, visit www.BentleyPublishers.com/electrical. At a ceremony in Bremen, Germany, during the Bremen Classic Motorshow, Karl Ludvigsen was awarded the “Golden Piston” for his contributions to the recorded history of the motor car. Established in 2006, the award is given annually to a personality whose work accords with the goals of the Forum Für Fahrzeuggeschichte, known as F3 or F-Cubed. F3, the Forum for Vehicle History, was established in 2001 with the goal of blending knowledge with resources to achieve accurate representations of the history of motor vehicles for the benefit of both specialists and the public. Karl Ludvigsen has written more than 60 books about cars, motor companies, drivers and designers. A former motor-industry executive and consultant, he has concentrated on authorship since 2000. The “Golden Piston”, said F-Cubed, was given to Ludvigsen “for his services to the communication of automotive history with the conscience of the dedicated historian without, however, overlooking enthusiasm." 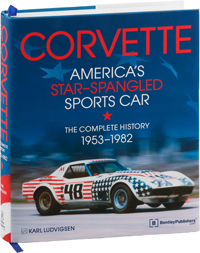 “With his work for the automotive industry and journalism,” F-Cubed continued, “his particular achievement is to have created valuable contributions in the portrayal of historical developments in the automotive field." In his response Ludvigsen touched on his first stay in Germany as an American soldier in the 1950s. He has specialized in histories of Porsche and Mercedes-Benz which have been published in both English and German. Karl Ludvigsen and his wife Annette met with journalists and officials during a weekend of talks and ceremonies at the Bremen Classic Motorshow, where the presentation took place. This video outlines the brief steps needed to change the heating and air conditioning cabin filter, also called the cabin microfilter on a F30 series BMW. Thanks go out to Autoweek, as they've selected Randy Beikmann's Physics for Gearheads as one of their "7 Must-Have Car Books" for the holidays. From their review: "Beikmann is your guide to the intricacies of physics on the track and in the car. He goes in depth on his subjects, but he doesn't go so far that you're overwhelmed and your eyes glaze over. Non-engineers will never really lose track of what Beikmann is saying. Even the equations make sense to the average schmoe (i.e. us)." Click on the review to the left to see the full review.